As a kid I was fascinated by a book on the life of Kempelen Farkas. He was born in 1734 and built steam turbines, a speaking machine, and a “chess computer” called the Mechanical Turk. His Turk was presented to Maria Theresa, Napoleon Bonaparte, and Benjamin Franklin. 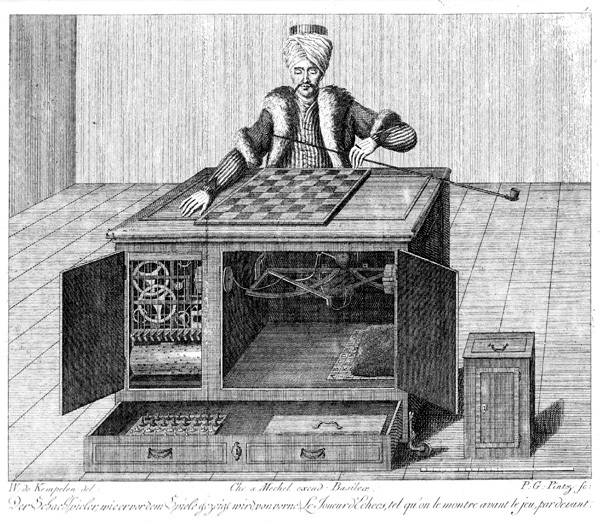 The secret of the Turk was revealed in 1820: a small chess player hidden inside the machine doing all the work. The other day I had to sign the time sheets of two contractors. Got an email from the company providing the services, clicked the link, logged on, checked and approved the hours and clicked save. That’s it, right? Not exactly. The next day I found two blue time sheets on my desk, same hours filled out by the contractors, and some other information entered by the departmental admin. So, I checked the forms and dropped them in the /dev/null filing cabinet. Later I got a call from the admin, that I have to sign them, bring them to her and then she will scan them and email the PDFs to a different department where someone will be entering them into the IT system. 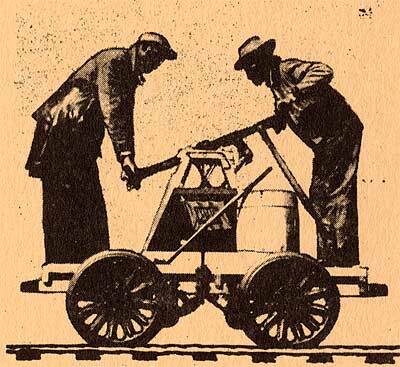 So here it was suddenly exposed, the mechanical Turk. A beautiful anti-pattern, an archetype of an information handicraft, expensive and slow, cranking out uniquely different outcomes every time. How many more Turks are out there hiding somewhere? When we find a Turk, do we need to do something about it? If so, what? They are hiding, so who knows? The larger, the more established, the more stovepiped the organization is, the more Turks it can hide. The more external constraints and influences the enterprise has to comply with, the more likely to have Turks. The less the company’s performance is directly related to its existence, the more it tolerates Turks. In 1820 Kempelen’s Mechanical Turk lost most of its charm when the secret compartment was exposed. Cost Accounting or Server Configuration Management sound like a serious and complex activity. But it may be a just a laborious sequence of manual steps, something that could be for the most part automated. Mystery removed. Turks are just as much a process and information technology phenomenon as cultural artifacts. Old habits die hard. Maybe job security is involved and you may even find some who deliberately create Turks. Have to look for them. Implement a process improvement program all the way down to the individual contributor’s level. Exposing Turks should be on the employee’s goals. Make it worthwhile, give out rewards. Apply methodologies like Six Sigma, BPM or ITIL to drive transparency. Open up risk free communication channels all the way to the top. Gently change the culture and institutional habits. When we find a Turk, do we need to do something about it? Maybe it is a good Turk. If the process is 50% exception based, Turks are good at handling them because they are flexible. But those processes should be the exception and they should either be driven by compliance or support a function with a very good ROI. But most Turks should be replaced by proper “chess computers” until identifying and replacing Turks start to have diminishing returns. This will not be easy. They are culturally embedded, often part of a larger broken process that would just turn worse as an automated broken process. On Monday, put on your Turk detector goggles and see if you can find a few around your organization.